I’ve long since come to the conclusion that our lives are stories, from past to future. The good and the bad. We are the stories that we tell ourselves about the experiences we’ve had, the people we’ve encountered, the lives we have created and lived. Once upon a time…that is who and what we are. Each year, I spend the week between Christmas Day and New Year’s Day, preparing a fresh canvas, turning over a new leaf, the space in which I will continue to create and write my story. It is not a time for goal setting or resolution making. I’ve never been one to conform to doing that on January 1st because for me, that is a recipe for failure. Turning over a new leaf is different. It is about turning over the soil in which I will grow, preparing the canvas upon which I will paint life…my life. And I bet you thought it was simply about getting a new calendar for the upcoming year. It can be that, but I encourage you to allow it to be more. It is empowering, I think. January 1st. The beginning of the year. The whole idea of time with beginnings and ends is a construct that really doesn’t exist. We are on a continuum, but we insist on shoving things into years and months and weeks, these neat little boxes (often literally) that we’ve created to make some sense out of life. To give it shape and order. And yet there is something comforting in the order, isn’t there? It is an attempt to make the messiness of life just a little less messy. This year, I am trying the vertical calendar in my traveler’s notebook to track the habits of daily life that I’ve identified as the things that help me maintain my positivity — reflecting, learning, exercising, showing gratitude, and meditating, some of which are evolving, works in progress. (Actual appointments will likely be kept digitally). More and more the companies for which I work dictate my schedule and it’s easier to have a digital calendar for those things. A monthly calendar will help me map out the big picture, the larger projects that include me sharing my gifts with the world because that’s the story I’m in the process of writing. It’s the story in which I take the magical part of who I am, my gifts, and continue to intentionally share it with the world in meaningful ways. As I grow older, I find myself trying approach turning over a new leaf with greater simplicity. There were years in which turning over a new leaf meant starting a whole new system and sometimes it would be complex. 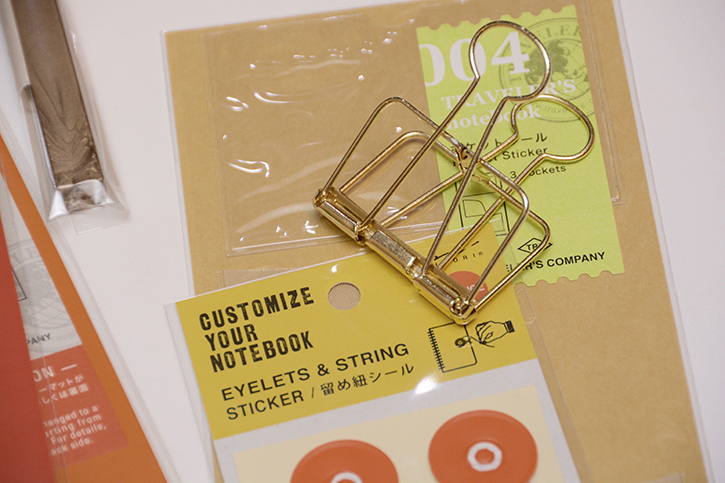 New notebooks and new sections. Lots of new techniques and new things to remember. Inevitably I would mostly fail at maintaining these new systems and I’d fall back into my old way of doing most things. So now, the new year is not about beginning a new system. It is about taking a giant, deep, cleansing breath, which I use to draw in new energy, a restorative energy, which creates stillness. Instead of it being about a pile of new stuff, it’s about a clean space. Imagine shapes and pictures drawn into sand, and the cleansing breath being exhaled, causing the grains of sand to gently move until the surface of the sand is smooth. Ready, set, go. It is time to continue writing my story/your story. Having a clear mind, sharp focus, and a positive energy make all the difference. This doesn’t require a system, per se, but time and a blank sheet of paper or two. Simplicity, simplicity, simplicity. I’m sticking with grid ruled notebooks right now. The paper is perfect for keeping things neat, no matter the direction I’m writing. Fresh plastic pockets will hold a special photo, a special quote, my daily action card and my workout log. A new zippered pouch will hold postage stamps for thank you notes that I plan to send out with more frequency. 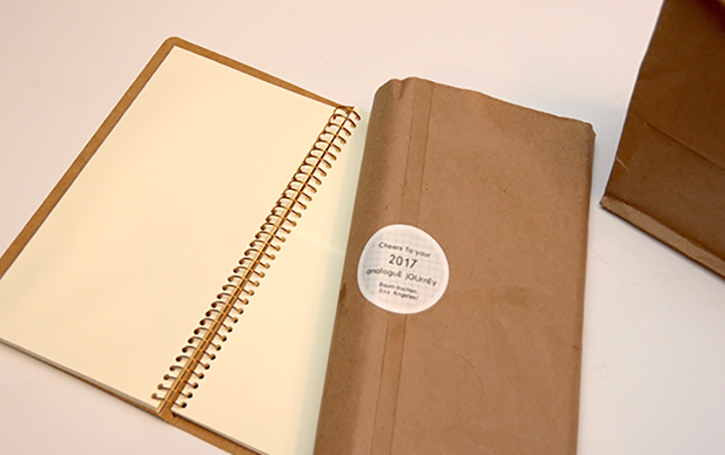 A Traveler’s Notebook archive binder will store my finished inserts. 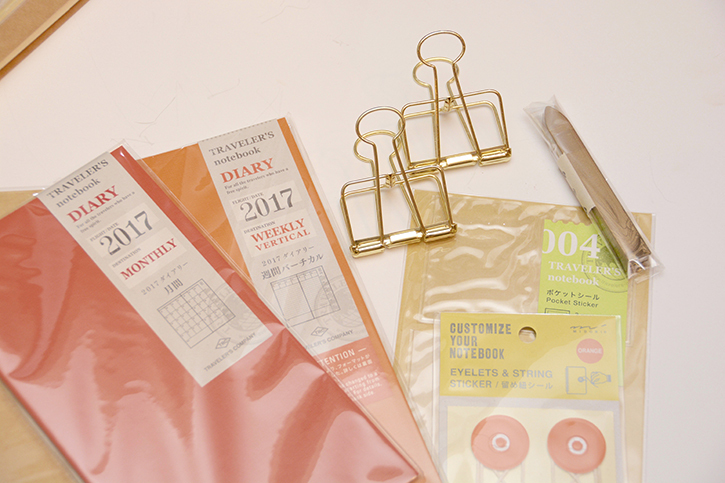 Tools by Livery #51 gold binder clips will keep my notebooks open when I am writing and sharing. 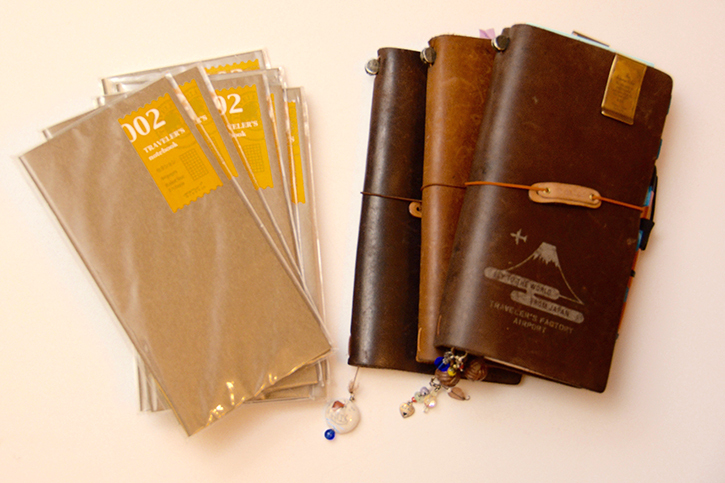 A separate Midori Kangaroo spiral notebook will help me collect ephemera — photos and memorabilia that bring a smile to my face. The orange eyelets and string will help keep it closed. Instead of setting a resolution for the New Year, perhaps I can encourage you to try turning over a new leaf. What is the story that you are going to write or continue writing in the new year? Make sure to make it a good one, eh.